Think of it like this...you have a tank that is 36" and you have a ceiling at 84", thus you have 48" for stand and whatever is above it...You will probably want to put your lighting on a track that is movable and leave enough space above the tank to crawl around for cleaning/moving/maintenance. I would suggest around 26-28, or maybe 30 if you are skinny!! How much space will you have for your tank room? Fortunately all the digging that needs to be done is done. I only dug half the crawl space, there is a block wall were the dirt wall is in those pictures (sorry I don't have a picture of it). When I get home I am going to have the floor poured and above the block wall poured but only about 5 feet. Then I'm going to put up a small wall and close off the crawl space potion. This will give me a room that's about 18x12 (plenty of space for a wet room). And as a bonus the well pump and pressure tank are in the crawl space, so I have easy access to water. What will you keep under the stand?Your the one who will have to get in there to work on something unless the sump and everything else are kept in another section of the house. Thats good.You will have to have some sort of HVAC unit along with an A/C unit for the heat and humidity issues.Thats going to be a lot of salt water and corrosion would be my concern along with the excess humidity.You will need a big sump and a lot of equipment.I would also look at electrical setup plus a generator that will turn on in case of power shortage.I have a small generator but I would have to be at home to use it.If you are away and something goes wrong at least you have some kind of back up power unit.With all the money you are going to spend in livestock its something you will need.The only bad thing about this hobby is that sometimes it can keep you prisoner to your tank.Sounds crazy but everyone here knows it. The room the tank is going in has a vaulted ceiling, so space above the tank isn't an issue. I will be able to raise and lower the lights in order to do maintance and what not. As far as the wet room (room where all equipment will be stored) it only has a 7' ceiling and has tons of space, so that shouldn't be an issue putting all my equipment there. You would need at least 3x 8 ways and 3 strong pumps barracuda I would think or the tarpon.I forget witch one pushes more water.If you do want to save on electricity the new tunze pumps push 5000 GPH or 5900 GPH and use a lot less power to do so.I a tank that big I don't think they will be such a big eye sore.plus to run those pumps off a deep cycle battery would be more simple but you would still need to run lights or heater in a power failure. Ahhhhh!!! I gotcha...my bad. I would then say anywhere from 30-34 inches would be perfect viewing height. I would put one of those European A/C units in the room.Very easy to use.I have one upstairs in my house.I regret not installing one in my basement.I bought a portable A/C unit and they are not as strong.Plus I have to take it out when it gets cold. The problem with de humidifiers is they heat up the room like crazy so this will add heat to your tankYes the crawl space.You can place the european A/C units on the wall.You only need to drill a 2" hole to run the fan outside. this one is 24000 BTU does the top floor of my house.I have an old home(1930) so I don't have ducts.I should have not listen to my wife and installed one downstairs for the basement.They are very efficient and they are designed to use less electricity. Does the Euro AC unit help with humidity? yes its an A/C unit cools the air and removes the humidity.The only reason I call it European style is because most homes in Europe have these type of A/C units.You won't see window types.I never saw one window type while I was in Greece.Everyone has these units because they are pretty efficient.If you buy a no name brand you will also get them cheaper.I know HD sells them.I paid a lot for mine and I have seen cheaper brands half to 1/3 the price.They work like a central air unit.The fan and compressor stay outside.They are very quiet.It comes with a remote control. So you think I need 3 x 8 ways. I was thinking I could get away with 2 x 4 ways and about 8000 gal of flow with two pumps. I guess I could do 2 x 4 ways or return and 1 x 8 way on closed loop. I just thought of this I might actually have a pump under the tank (closed loop) but I really don't want to, I think I'll give up some head loss to keep it in the basement. by the way not to burst your bubble but I had a 30" tall tank and it was nice to look at but a pain in the *** to get my hand down to the bottom.Your tank will be 5 ft wide.You will need to get a long pair of tongs or get wet if you have to move any corals.My tank was 150 gal joke. Thanks so much for protecting our country and putting your life on the line so we can live in peace! God Bless you and everyone serving!!! now if you don't mind the look of the tunze will you save money in the end?Yes you will.The tunze aren't cheap but if you can get the large ones they push a lot of water and use less wattage.Plumbing part for the cl are expensive.So you won't save money on that.I got good prices for my plumbing and it still cost me a small fortune.Tank your size $1000 easy for plumbing and thats a very fair estimate(it will probably cost more. the sequence pumps will use more wattage than the tunze or the ecotech (if they don't burn a hole in the tank) Plus your tank will be to thick. no time for spell check! the big question i have it wat kind of tank will this be? comunity fish and sps tank or soofties/lps tank? alot depends on what you want to house in the tank. then you need to match the equiptment to those animals and bio load. these are the items that you will need to size to the bio load of the tank. this will be an awesome system once it is finished. there is only a couple of tanks that are close to the size of the ank you want to build here on reef central. here is some good reading for you on a big tank.
" there is no right way to build a reef tank but there is alot of wrong ways to build a reef tank". If it's not been mentioned, I'd suggest an AGE Aquarium. They have a PVC bottom and any type of combination of acrylics and plastics, and glass. They can be drilled through the bottom without any compromise on strength. It's where it's at for flow patterns. But $$$$$ Good luck! Can't wait to see the build. "Then if there's nothing wrong with me... then there must be something wrong with the universe!" I'd go with a larger tank over a Viper any day for half that you can get a 03-04 cobra with some mods and make just as much power. (It's such a disgrace that Chryler and Ford even united together anyway. BTW my 850+ horspower car can keep sitting in the trailer untill I get that new 300 gallon I've been looking at! Harleyguy don't get discouraged over someone elses opinion do what you think is best. 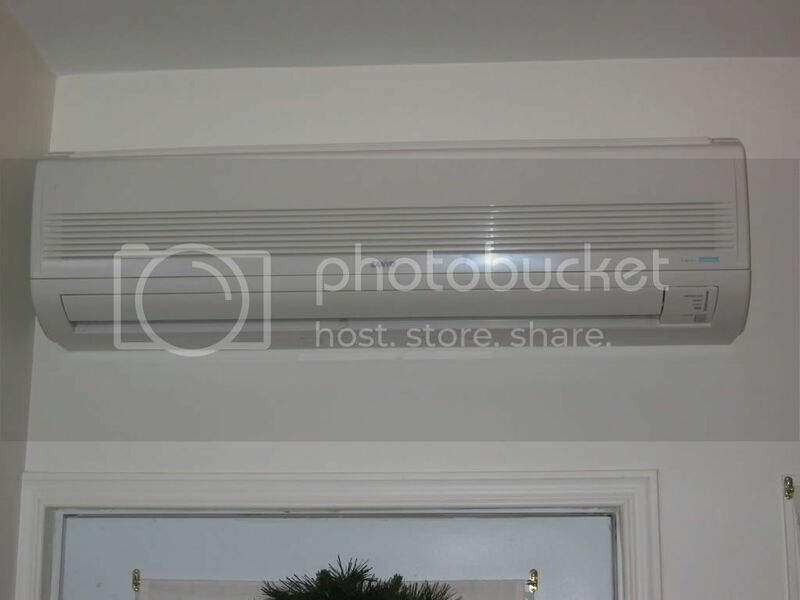 @ Steve the Plumb - What model AC Unit is that? I've been looking for something similar to that. I think this may work, I'd just wanna get to the store to check it out. @Harleyguy - Where abouts are you in Georgia? I wanna come see this monster when its done! I'm looking for a wife... Do they always come with a large reef??? ?